Read what our previous students have to say about the European Summer School Prague! 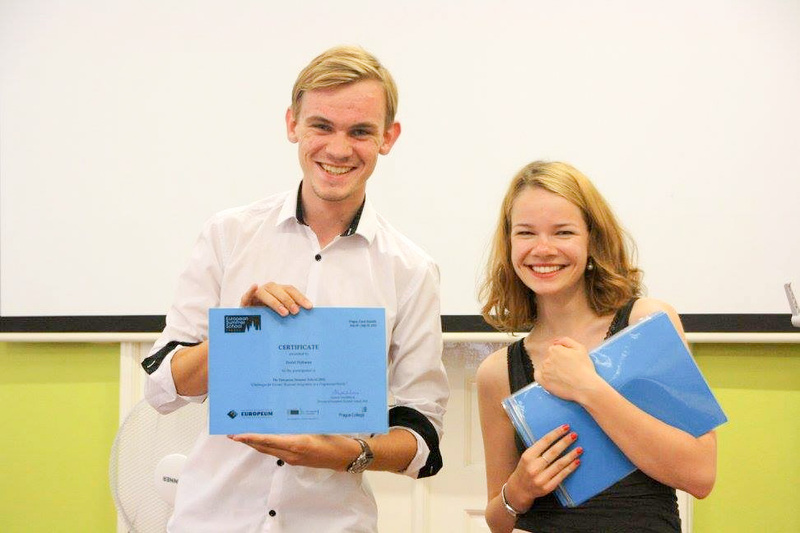 My name is Emiel Dijkman and two years ago I took part in the European Summer School in Prague. I learned a lot from all the interesting lectures and discussions, which inspired me to write papers on the various topics that we discussed. Apart from the lectures, it was also really fun and interesting to meet so many like-minded people and spend 10 days together, discovering Prague and all its cool spots. I still have contact with some of the people and I am sure I will meet some of them again further on in our careers. In my case, the ESS definitely paid off, as I am now doing an internship at EUROPEUM’s Brussels office. Participating at the summer school definitely gave me an advantage in securing this great opportunity. I can recommend anyone who is interested in the EU and the many issues surrounding it to join the ESS, to experience Prague, make new friends from all over the world and maybe even take a new step in your career."